First published in 1918, and set in Nebraska in the late 19th century, this tale of the spirited daughter of a Bohemian immigrant family planning to farm on the untamed land comes to us through the romantic eyes of Jim Burden. He is, at the time of their meeting, newly orphaned and arriving at his grandparents' neighboring farm on the same night her family strikes out to make good in their new country. 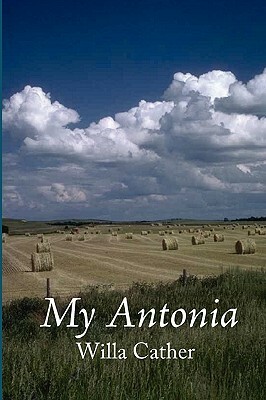 Jim chooses the opening words of his recollections deliberately: "I first heard of Antonia on what seemed to be an interminable journey across the great midland plain of North America," and it seems almost certain that readers of Cather's masterpiece will just as easily pinpoint the first time they heard of Antonia and her world. It seems equally certain that they, too, will remember that moment as one of great light in an otherwise unremarkable trip through the world. Newly designed and typeset in a modern 6-by-9-inch format by Waking Lion Press.